Just curious how to they ship the bees, I'm guessing it's not a big UPS box or anything, or hell maybe it is? The bees are shipped in a small wooden box wrapped in fine wire mesh to allow for airflow. The queen is in her own separate "queen cage" in the larger box that keeps her separate from the other bees, but allow them to smell her and acclimate themselves to her because she doesn't start out as their genetic queen. 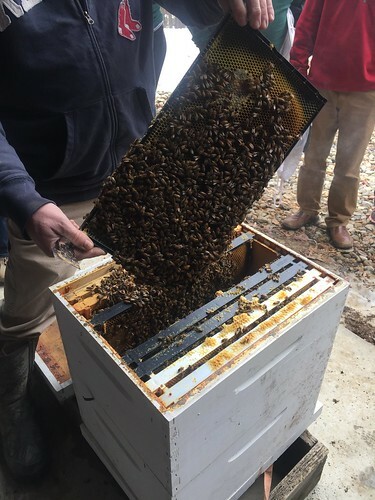 The package of bees originates from a bee farm in GA and is transported up to New England by a local beekeeper who then distributes them here. Because the bees are sensitive to temperature, he has a special trailer he uses to keep the bees in the Goldilocks zone: neither too hot nor too cold. I'll bee dammed. That's pretty cool. Do bees do ok with cigar smoke? I wish I was a bee. I hear that beech wood smoke makes them drowsy. I have a ton of books, and had a mess of hives when the kids were little. I never did dump bees in them, I was all about swarm gathering and had limited time to hunt bees with the farm and all. I finally finished fixing all the bodies and frames and top and ended up gioving them all away to old man Hanzely. A week later, I had an enormous swarm hanging in the oak tree at the corner of the yard, which was about 20 yards from where the hives had sat. If I can help Vin, just holler. It's still something I'm going to do, but as you can imagine, I have ideas for a "different" hive. Not sure how I missed this, but I've been researching getting into beekeeping heavily once I move into my next place. 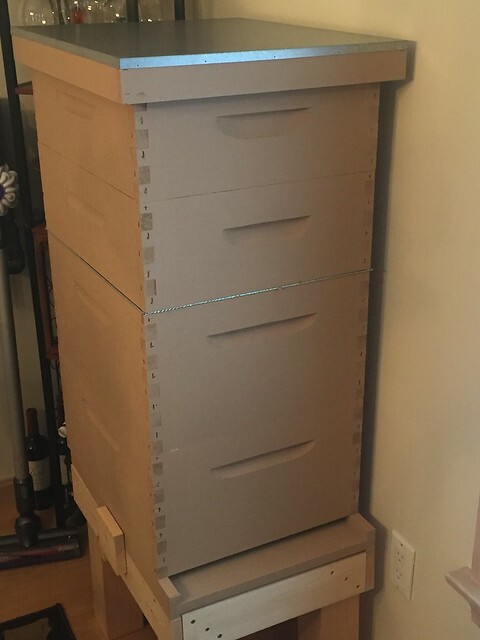 What sort of hive are you going for? Starting with a langstroth it looks like. Cannot recommend the bee school thing strongly enough. Lots of people in the class who tried their hand at beekeeping by reading/watching youtube videos, etc. 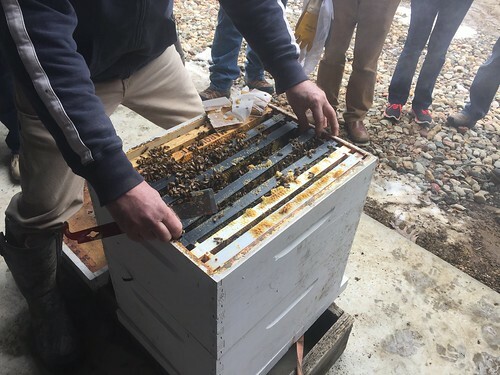 Many of them have been struggling to maintain healthy hives or successfully overwinter them. Learning direct from someone who's been doing this for a couple decades brings life to all the book learning and online reading I've been doing. Awesome. Hope you get a good thaw in and some Indian summer temps. This is pretty cool. Looking forward to following your progress.....from a safe distance. I'm bringing home my baby bumble bee. . .
For future reference, the wax is really useful stuff! 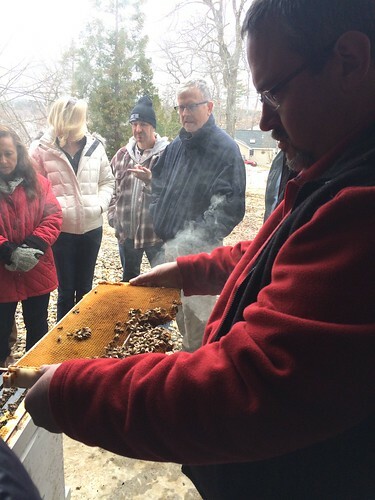 Wrapped up the last week of bee school with a hive opening at the instructor's apiary. Temps were cool and the bees were docile though two did manage to find their way into the fleece I was wearing. One decided to initiate me into what a honey bee sting feels like (not bad, really - at all) while the other walked around my shoulder while I gently removed the fleece. She flew off with neither of us worse for the experience. I i was looking at those "automatic" hives, with the cells pre-made and you just turn the tap and honey comes out ... seems like that's more my speed, ok to be honest the little squeeze bear of honey is more my speed. I think that last pic is "I wonder if I can get away with shoving my face down there and waiting my fill?". To which I reply, "you never know until you try."